There’s power in numbers isn’t there? Have you ever noticed how much difference even one person helping out on a job can be? When you work together, anything feels possible. When you’re stuck on a job or task and just don’t know where to even start, having a wingman (or 2 or 3) to help you work out what needs to be done first can be really helpful! Unfortunately, evil also grows with numbers – even when it’s just a few. Watching things unravel in Paris this weekend has just been so horrific. The good that has to come from it surely has to be the fact that people throughout the rest of the world unite and work together to overcome and prevent these terrible things from happening? Only God knows how though. I’m sure we haven’t got it sussed yet and it seems we may be getting it totally wrong as innocent people continue to be slaughtered. We are getting it right in some ways though. 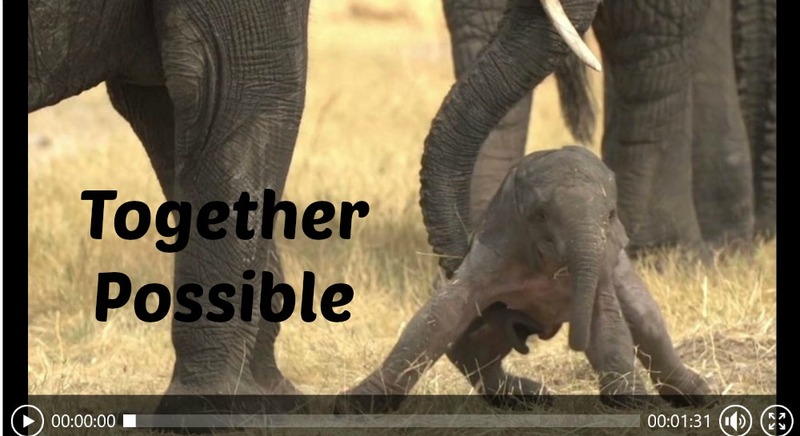 The World Wildlife Foundation newsletter came round today and they have made such an awesome beautiful video demonstrating the wonderful way that people throughout the world are working together and beginning to make positive changes. It’s well worth a watch and as you’re thinking of Christmas presents this year for the person in your life who has everything, why not adopt a Three-toed Sloth, Honeybee or even a hedgehog and make a proper difference to some wonder of nature and the future of our planet that we’re all working so hard to save.